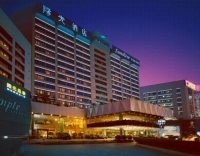 Sunshine Hotel Shenzhen started business on 18 January 1991. On 18 September 1993, it was chosen by State Tourism Administration as a five-star hotel as the first five-star deluxe business hotel in Shenzhen. 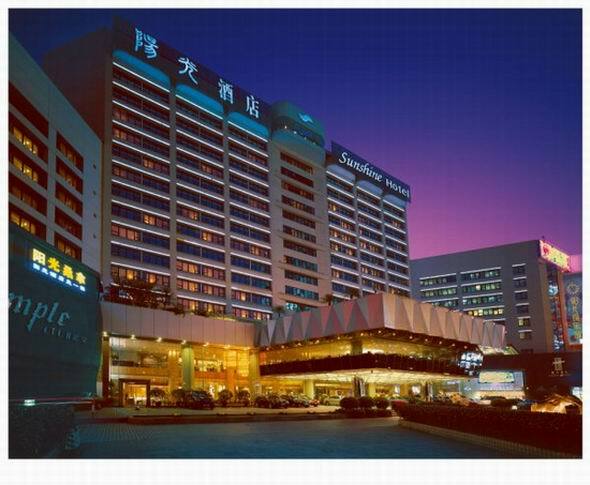 In the web selection of "Hotels in My Mind" held by Sina.com in 2008, it won the championship for "Best Environment" and "Best Comfort"; and in 2009, it was chosen as one of "Top 10 Business Hotels in Shenzhen". The Hotel is meticulously built according to the international five-star standards, with generous styles, deluxe bearing, consisting of rainbows, fountains, creative giant sculpture, and a Western style garden covering 4500 square meters as the front space landscape, which develop a wonderland for the main body of the Hotel seeking for peace in the busy city center. It is one of the greatest scenes in Shenzhen for its elegant magnificence being one of the most outstanding in the same trade. The hall of Sunshine Hotel covering 2000 square meters chosen as a model project in decoration in China is designed by Babara Allens, a very famous designer from the USA. It is the combination of classic and magnificent European style in a harmonious and graceful atmosphere. 21 warm yellow pillars stand with top Italian marble, ancient Greek sculptures, and Western mural pictures, clear pools, being elegance, graceful, and outstanding, to enhance each other beauty with its front open space, hence the top model in the same industry. The Hotel boasts 364 guestrooms, including 300 guestrooms and suites in the main building, and there are 64 deluxe guestrooms in "Imperial Wing" Executive Floor. Sunshine Hotel is located on the convergence of Jiabin Road and Dongmen Road South of Shenzhen. 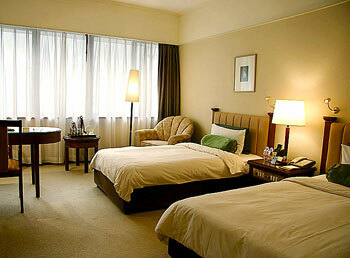 It is a deluxe business hotel built according to the international standard. It is located at the busy commercial and cultural land section in Shenzhen sharing convenience in business, shopping and traffic. The Hotel is closely adjacent to Kingglory Plaza, International Trade Building, Dongmen Pedestrian Street, just a few minutes’ drive away from the Railway Station and 40 minutes’ drive from Shenzhen Airport. It is close to "International Trade" Metro Stop. The Hotel also boasts shuttle buses to different tourist scenic spots, with quite a few special shuttle buses every day available to Kowloon and Chek Lap Kok Airport of Hong Kong. Depending on its top level, top standard and top quality market orientation, it has been widely accepted by all walks of life, so it has made great economic and social benefits. 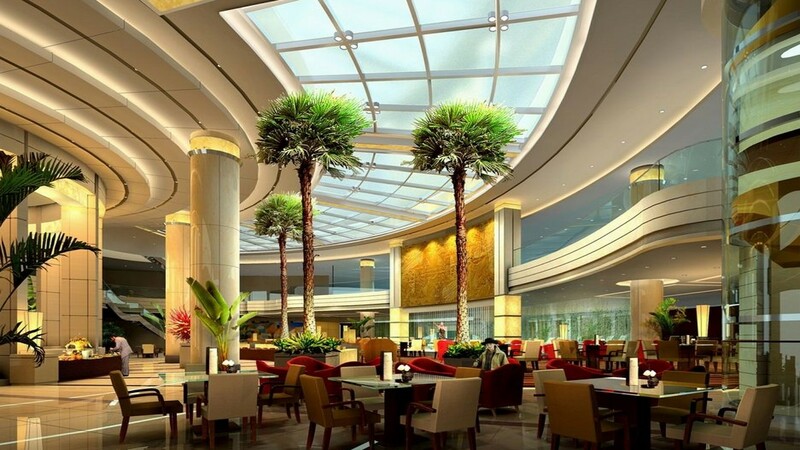 It has very high familiarity and fame in regional markets and has made its considerable contributions towards the development of the hotel industry in Shenzhen. The Hotel also boasts a team of top quality professional management, and a lot of loyal customers. The Hotel’s Customer Service Center has launched "Shine" membership cards to classify customers in a good order to offer personalized services, to increase customer values, to enhance customer satisfaction and loyalty and to finally attain the goal of improving competitive advantages of the Hotel. As the earliest five-star hotel in Shenzhen, Sunshine Hotel strives to probe into a hotel management mode with Chinese characteristics trying to build its high-end hotel brand of autonomous management, to build a warm, harmonious and elegant atmosphere. After years of hard work, it carries forward the corporate culture of Sunshine "based on harmony and top skills". In order to optimize assets, to integrate resources, to enhance competence, and to keep pace with the times, in the period from 2006 to 2009, the Hotel sticks to the principle of "development by modules, sections and links without business suspension and limits". 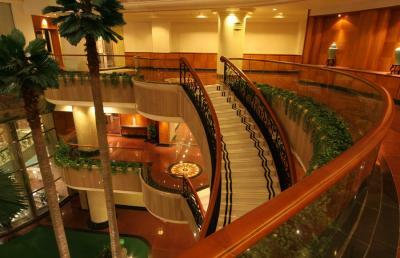 It has put in tremendous hardware devices and facilities for the overall transformation of the hotel. It has updated its software management systems to try to build an still warmer and more comfortable residential environment for guests and to provide more personalized and humanistic top quality services. 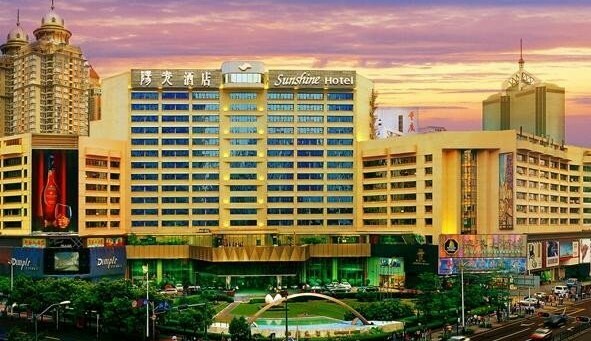 Sunshine Hotel will depend on the advantageous resources of Hunan Sunshine Investment Holdings Group to strive to develop itself towards industrialization, specialization, and group and brand orientation. It has become the "model of business, cradle of talents, source of benefits and carrier of brands" in the Group.